Photography by JOANNA GAINES text by SHANI SILVER photos courtesy of JOANNA GAINES Joanna Gaines, the HGTV star currently setting more #lifegoals than anyone else we can think of, knows good style when she sees it, and thankfully, when she sells it. 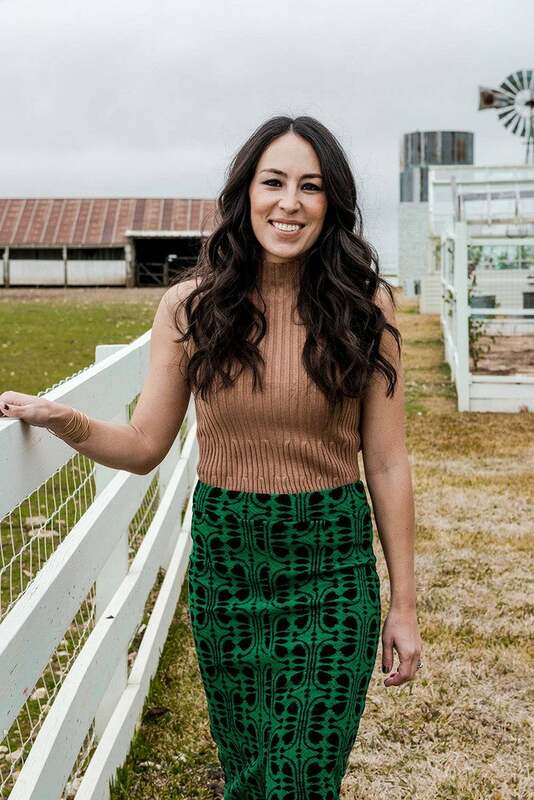 Joanna Gaines, the HGTV star currently setting more #lifegoals than anyone else we can think of, knows good style when she sees it, and thankfully, when she sells it. The Magnolia Home by Joanna Gaines Paint collection, developed in partnership with KILZ, is only available onJoanna’s site, and is without question worth checking out if you’ve needed to redo a room for awhile, but have been waiting for the right inspiration. Not only is this collection inspiring, it’s basically paint advice from Joanna herself, because as we review these colors, you kinda can’t go wrong. We couldn’t quite settle for paint alone, so we asked Joanna to tell us a bit more. We’re fangirling a bit, because she did. WHAT ASPECTS OF YOUR STUDIO MAKE UP THE MOST ESSENTIAL ELEMENTS IN A CREATIVE SPACE FOR YOU? WHAT ASPECTS OF YOUR STUDIO MAKE UP THE MOST ESSENTIAL ELEMENTS IN A CREATIVE SPACE FOR YOU? My favorite part of developing this collection with KILZ was naming each shade. Every color is inspired by someone or something important to me, from Chip’s wedding band to our farm animals—each color has a unique and personal story. I even got my kiddos involved in the project by letting them pick their favorite paint colors and helping me name them. Having them be a part of the creative process was sweet and makes me love each color even more. WHAT DO YOU FEEL IS THE MOST WIDELY APPLICABLE SHADE, ONE THAT WORKS WITH A VARIETY OF PERSONAL STYLES AND TASTES? All 25 colors in the collection are timeless and classic in different ways. When choosing my top 25, I chose versatile hues for all personal styles, and each one easily expresses a relaxed and effortless feel. One of my everyday, go-to colors is One Horn White, which is named after the matriarch goat on our farm. I’d choose this hue for any house, any day – it’s fresh, soft and inspiring. WHAT IS ONE PAINTING MISTAKE YOU SEE OVER AND OVER AGAIN, AND HOW SHOULD WE CORRECT IT? One painting mistake I see a lot is when people commit to a color before they’ve tried it out in a test area first. Sometimes the paint color dries differently than what you expect, or looks different in morning light than in evening light. Test it out first and save yourself the expense and time of repainting the whole room. Psst! Joanna has an upcoming rug line with Loloi, too!